London, March 9, 2019 (AltAfrica)-A New York federal court on Wednesday dismissed a lawsuit by two indigenous Namibian tribes who were demanding compensation from Germany for the genocide of their ancestors over a century ago. U.S. District Judge, Laura Taylor Swain, in Manhattan, said Germany was immune from claims by descendants of the Herero and Nama tribes, depriving her of jurisdiction over its role in what some have called the 20th century’s first genocide, reports Reuters. It is widely reported that German troops massacred more than 75,000 Namibians, mainly from the Herero and Nama tribes, between 1904 and 1908. Many have termed it as “a campaign of racial extermination and collective punishment” that Germany undertook against Africans who rebelled against the autocratic German colonial rule. In January 1904, members of the Herero tribe revolted against the invading Germans, which led to the “Battle of Waterberg.” However, Germans won and drove the Herero to the Namib desert where most of them died of starvation and dehydration. In October of the same year, members of the Namaqua tribe rose against the Germans but were soon overpowered by the well-armed German troops. They suffered the same fate as the Herero. 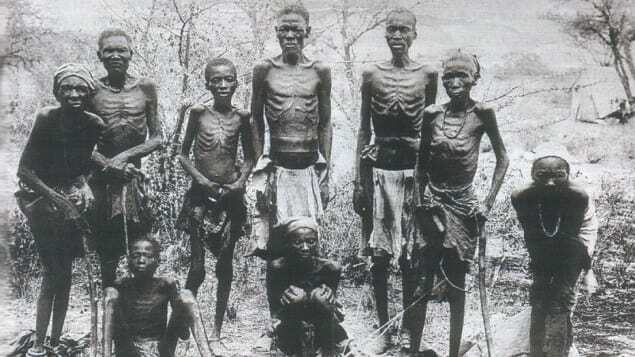 Thousands of native Namibians were also imprisoned, where most of them died of abuse and/or exhaustion. There were also reports of concentration camps where the colonialists carried out exterminations and scientific experiments on the tribes people. Herero chief Vekuii Rukoro has described Wednesday’s ruling as “disappointing”. “We assert that judge Swain has made some fundamental errors of law in her jurisdictional analysis and we are determined to see to it that this decision is reversed on appeal and that our claims for reparations shall proceed,” he was quoted by the AFP. The plaintiffs had argued in court that Germany was not shielded by the federal Foreign Sovereign Immunities Act because some of its plunder found its way to Manhattan. They claimed that plunder from Namibia went to Germany, and this was used to purchase four buildings in New York, said the AFP. Skulls and other human remains were also sent to the American Museum of Natural History while a written account of the genocide went to the New York Public Library, the plaintiffs added. But the judge said the transfers of human remains and the account of the genocide bore no “direct” or “immediate” connection to Germany’s activities in southwestern Africa.